Kings XI Punjab and Delhi Capitals are at the Punjab Cricket Stadium in Mohali to play the 13th match of the IPL 2019. And the news from the centre is that Delhi Capitals have won the toss and have elected to bowl. The last time the two teams met in the IPL 2018, Kings walked away with a victory in both of them. Out of the 22 games played by both the teams, KXIP has won 13 games and the remaining were won by DC. Out of the six matches played at Mohali, the home team went on to win five games and the remaining were won by DC. KXIP vs DC, Live Cricket Score of IPL 2019 Match. Talking about their Kings XI Punjab and Delhi Capitals in the IPL 2019, both teams have played three games and won a couple of them. Kings XI Punjab went on to win their last match against Mumbai Indians by 8 wickets, whereas Delhi Capitals won their last nail-biting tie against Kolkata Knight Riders. The match between DC and KKR went down the live wire and ended with a Super Over, with Shreyas Iyer and men clinching victory from the jaws of defeat. 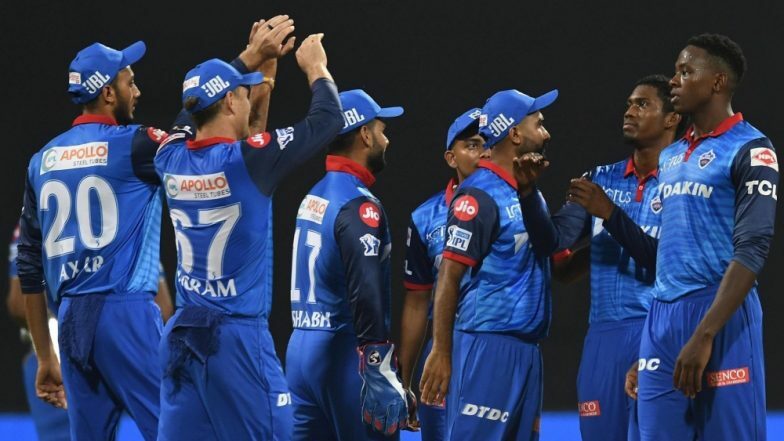 KXIP vs DC, IPL 2019 Live Cricket Streaming: Watch Free Telecast of Kings XI Punjab vs Delhi Capitals on Star Sports and Hotstar Online. Now let’s have a look at the playing XI of game number 13.